Most of us saw the photos after Typhoon Hato gave us a good battering back in August. Lying in her wake was a trail of rubbish across our SAR. And who cleaned it up? Well, along with the government, it was good-hearted Hong Kong citizens like you and us. But, when the storms have all moved on, the trash continues to build up on our beaches. And who cleans this up? Again – good-hearted citizens like you and us. 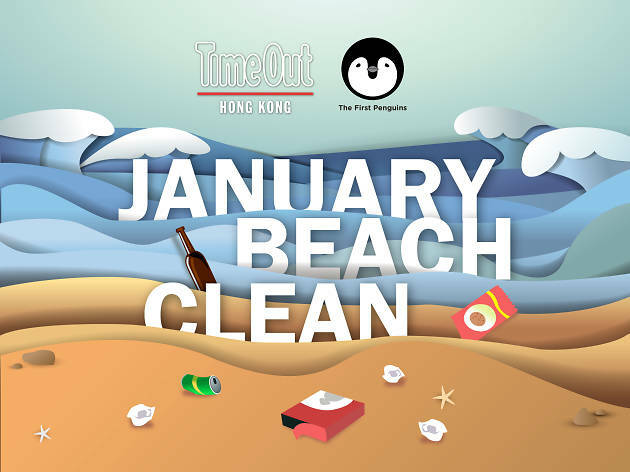 About 20 members of The First Penguins – a group which aims to bring people from all cultures in our SAR together to help clean up our beaches – join Time Out Hong Kong staff and readers between 11.30am and 4.30pm to tackle the rubbish on the sands. There’s also a group of ‘water waders’ joining in the fun so they can pick up trash from the ocean floor. Prizes are up for grabs in a series of competitions throughout the event, plus all of the equipment is being provided by the government and The First Penguins. All you need is old clothes, some snacks and water, non-slippery shoes and an eco-conscious, charitable attitude for the day. So, who’s in? To book your spot, click here and follow the instructions. Hope to see you on the day! 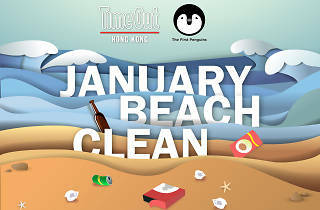 Let’s keep Hong Kong’s beaches clean together.